For many women, there are few things more alarming than a noticeably sparser hairline or lackluster locks that seem to have lost their volume. While it's normal to lose anywhere from 50 to 100 strands of hair a day, more than that can indicate an issue. The culprit is usually harmless and can be caused by anything from genetics to how you are styling your hair. Luckily, thinning hair is usually more of a cosmetic concern rather than a healthy one. 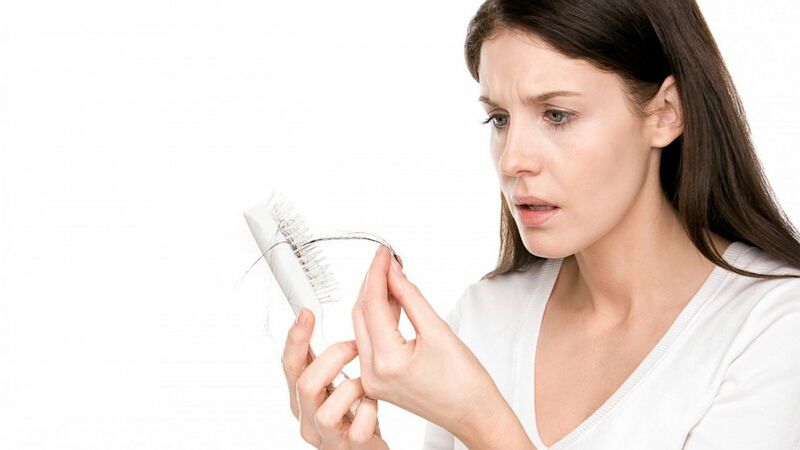 Because this is an issue that increasingly affects women as they get older, there are also a variety of products and tips that can help combat hair loss in women. If you've noticed your hair seems to be on the thinner side lately, try using some of the tips below to remedy the problem. If you don't start seeing results within a few months, a simple blood test by your doctor can determine if the hair loss is caused by an underlying health condition. 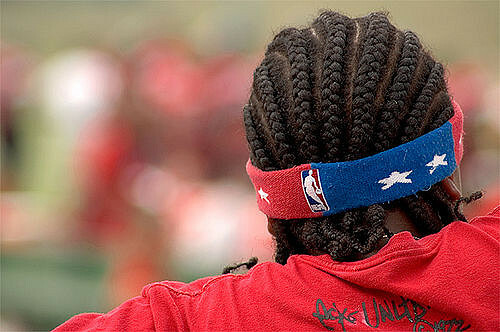 Tight ponytails, cornrows, braids, and anything else that pulls on the small hairs that make up your hairline can cause hair loss. The stress caused by these tight hairstyles pulls too strongly on the delicate hairs of your hairline and hair loss/thinning can occur. If you do need to put your hair up in a ponytail, use an elastic that doesn't have metal like the Goody's Ouchless line of hair products. It helps ensure your hair won't get tangled in the elastic and pull out your hair when removing your ponytail. Foods high in vitamins and minerals such as iron, zinc, and vitamin B12 can all help revitalize thinning strands. Make sure your diet includes plenty of leafy greens, nuts, beans, fish, and lean meats. If you're having a hard time getting enough nutrients in your daily diet, a good dietary supplement can help cover whatever your diet is lacking. An easy way to incorporate a scalp massage into your hair care regimen is to perform it while in the shower, after applying shampoo or conditioner. Scalp massages have been found to improve circulation to the scalp, stimulating hair growth. By moving your fingertips in a slow, circular movement around the whole head, you'll reduce stress and promote hair regrowth at the same time. Essential oils have long been touted for their natural benefits and they might just be the ticket to help your hair. Oils such as carrot seed, cypress, lavender, and rosemary - just to name a few - all have regenerative, soothing, and balancing properties that can improve the condition of the scalp and promote hair growth. Because essential oils are increasingly popular as a healthier alternative, these are easy to find online or in health stores. A few drops added to your scalp during your scalp massage is a great way to enhance your massage's effectiveness and take advantage of all the benefits the oils have to offer.